He already had an EPT Prague title and EPT London Super High Roller title under his belt, and now Martin Finger will add a High Roller title to his impressive poker resume. 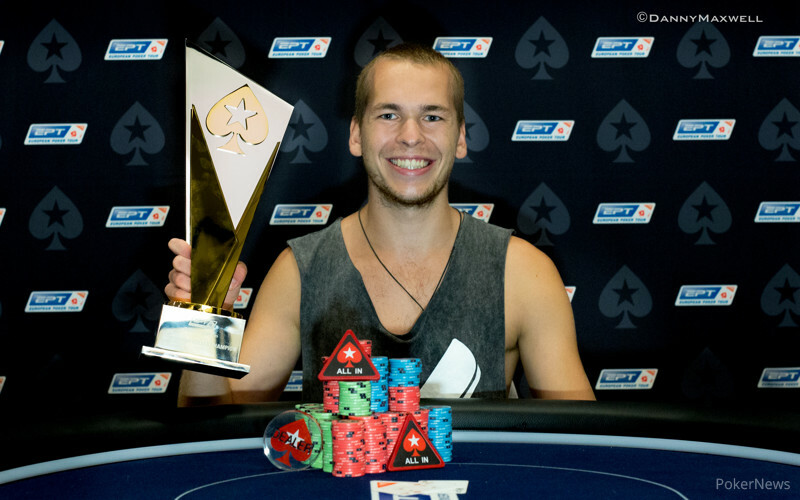 The 25-year old German pro becomes the first player to win the EPT Triple Crown, and with that he also collected a massive €865,900-first place prize. This tournament was originally scheduled as a one-day event on Day 1b of the Main Event, but there were still three players left at 5:00 a.m. on Tuesday and the decision was made to postpone the event until Thursday. Click here for a recap of the Day 1 action, which included appearances by football superstars Neymar Jr. and Gerard Pique. The final day of play started with just three players, and Team PokerStars Pro Liv Boeree was the first to get knocked out. Finger started with the chip lead, and Boeree was down to about 10 big blinds when she shoved queen-ten from the button, only to get called by Mark Teltscher in the big blind. Teltscher tabled ace-four and his hand held up, allowing Boeree to collect €391,000, the second biggest score of here live poker career. The heads-up battle between Teltscher and Finger seemed to be going the former's way, but a big all-in hand turned things around. Finger was at risk with pocket jacks against king-jack, and he managed to fade Teltscher's outs to stay alive. Finger proceeded to take a defensive approach by limping before the flop, and slowly but surely he chipped up. Going into the final hand, Finger held a 2:1 chip lead and Teltscher ended up all in with jack-nine against the ace-four of the German. 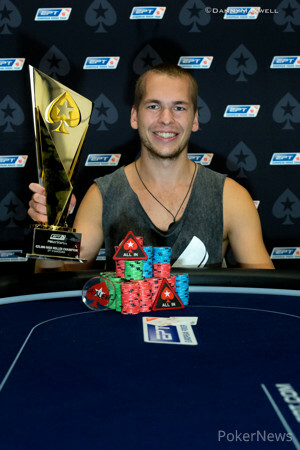 The board kept Finger's ace-high in the lead, and Teltscher was knocked out in second place for €586,500. 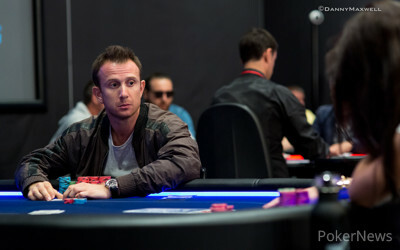 Finger now has more than $6 million in live tournament earnings, and this becomes his second largest score behind the EPT 10 London Super High Roller that earned him £821,000. Mark Teltscher open shoved from the button for 5,310,000. Martin Finger in the big blind asked for an exact count, tanked for a bit, and called with some reluctance. "Good call" were the reassuring words he heard. The flop came , giving Finger an open ended straight draw on his already leadin ace-high. The hit the turn and without any drama the dealer placed the on the river. Mark Teltscher congratulated his German opponent and informed with the floor how much he had won. €586,500 to be exact mister Teltscher, congratulations! After a short break play is now back underway. Mark Teltscher just suggested a quick break, as he wanted to use the rest room. The tournament director allowed the unscheduled break, and while Teltscher walked out, Martin Finger chatted with his friends on the rail. Mark Teltscher thought about it for a bit before announcing all in from the button. Martin Finger snap called from the big blind. The board ran out and the German crowd went wild chanting in German about the turn being a deuce. Finger got his 4,360,000 stack back times two, Teltscher now the shorter stack. Martin Finger limped on the button once again, and Mark Teltscher checked his option in the big blind. The flop came down and both players checked. On the turn the hit and Teltscher bet 400,000, Finger called. The river completed the board with the and Teltscher bet 1.1 million. Finger made the call and Teltscher showed for a flopped straight to take down the pot. Mark Teltscher opened for 750,000 and Marrtin Finger made the call from the big blind. Finger check called a bet of 700,000 on , but check folded to Teltscher's 1.2 million second barrel on the river.